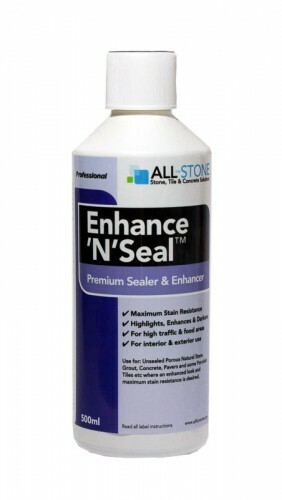 All For Stone Enhance And Seal is an impregnating sealer formulated to provide maximum stain resistance and also enhance and highlight porous unsealed surfaces. Can also be used as a pre-grouting sealer. Allows excellent Moisture Vapour Transmission (MVT) For interior and exterior use. It will provide the full 'wet' colour on most surfaces with no shine or surface coating.